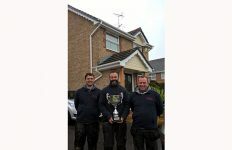 A full house of popular AluK Optio products by Rowley Aluminium was crowned the August winner of AluK’s Installation of the Month competition. 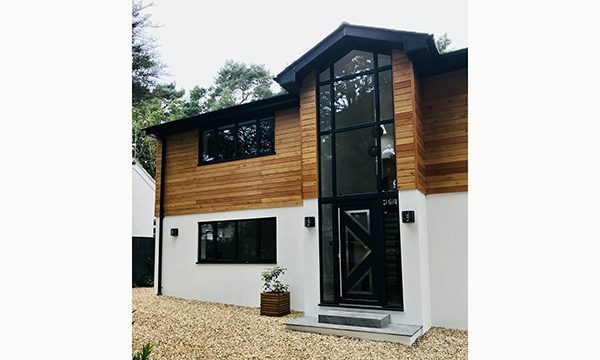 The stunning new build property in Wimborne, Dorset features a bespoke front door in AluK’s 58BD system, with full height gable and windows using the versatile 58BW system, as well as a 5-pane BSF70 bi-fold and a 2-pane BSC94 sliding door. The Anthracite grey frames are perfectly complemented by cedar cladding, ensuring that the house sits perfectly within its wooded setting. For Andy Chapman, the Manager at Rowley Aluminium, the project was a ‘textbook installation’ with all of the windows and doors supplied direct to site and fitted by one of Rowley’s regular builder customers. 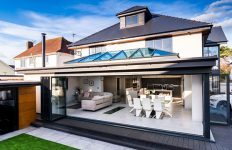 Based in Poole, Rowley Aluminium has exclusively been an AluK fabricator partner for more than 3 years, after the business was created to supply its own sister installation business Rowley Home Improvements. 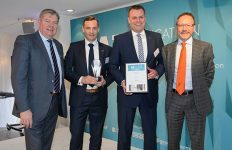 Its success since means that it also now supplies builders and installers throughout Dorset and the rest of the south west region. Like all of AluK’s Installation of the Month winners, Rowley Aluminium will receive £100 worth of Screwfix vouchers, exclusive access to an Installation of the Month digital badge to use across their website and social media channels, and an invitation to the winners’ event taking place at the end of the year. Customers can enter the AluK competition at any time, simply by tagging the very best installation photos they post on Twitter or Facebook with the hashtag #MyExpertInstall. 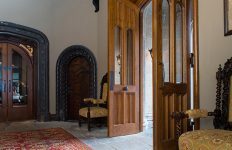 There is no need to register or fill in any forms and they can enter as many times as they like.